Hello everyone and welcome back to my blog! Today is December first and I am excited and ready for the future seasonal looks! 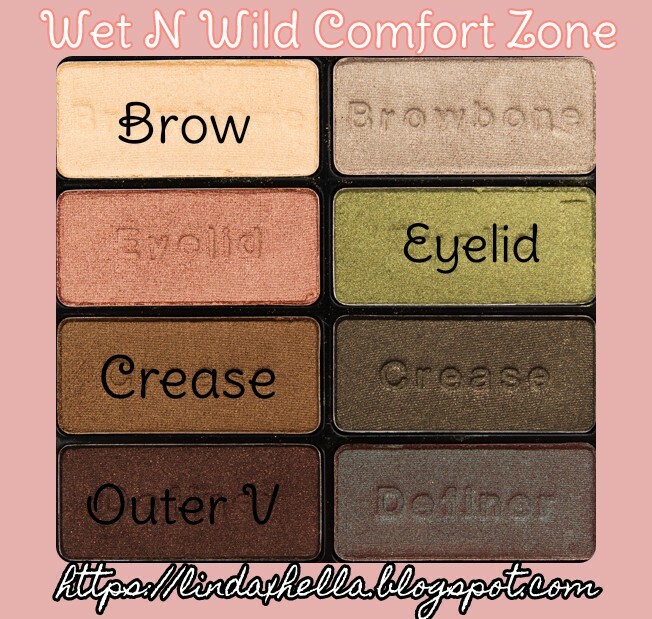 Today I decided to do a mostly drugstore look featuring the Wet N Wild Comfort Zone palette. Focusing mainly on the pretty green in this palette. I am not use to using shades of greens or blues. This a fun little step out of my personal comfort zone, lol. I’m thinking next post is going to be a silvery sort of look. What do you guys suggest I do next? Leave me some suggestions down below! Now let’s get started! To start out this look, as usual I used my favorite eyeshadow primer, but I didn’t set it this time. I really wanted the pigments to stick and be very vibrant without wetting my brush. 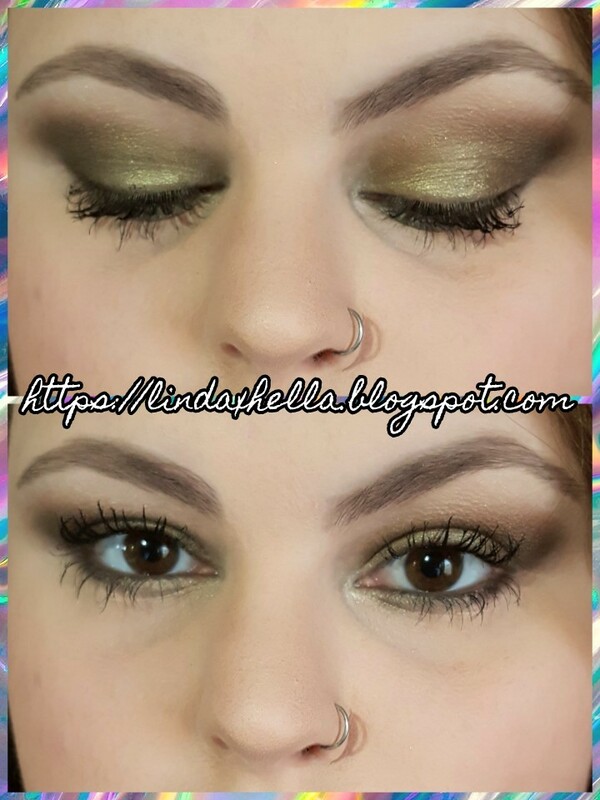 For my lid share I went it in with frosty pale green shade and packed it on from inner to outer corner. The rest of my lid I used the creamy shimmer shade, it has some chunky flakes in it, but they aren’t very noticeable. 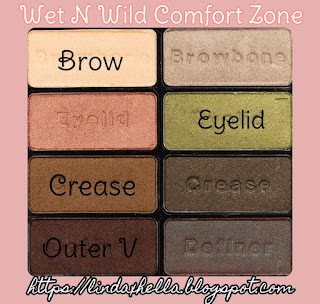 It gives more of a soft sheen to the brow bone. For the crease I used the golden bronze and took it from the outer corner and bringing it thinner towards the inner corner. I didn’t being it all the way in, if I had it would of made my eyes look smaller. To deepen up the very outer V, I took the black shadow that has a very fine bronze shimmer and blended a tiny bit out in the outer edge of the shadow. One thing to note, these shadows are like butter! They are so pigmented and blend like a dream. This is a $5.00 eyeshadow palette that’s just as good, of not better than some expensive palettes! Alright guys, that’s how I did the eyeshadow! 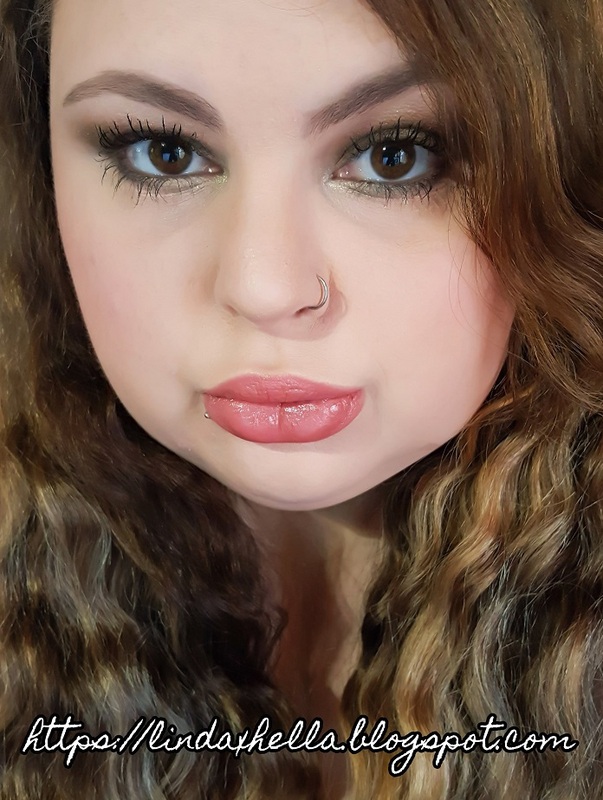 Thank you so much for checking out this tutorial, I hope you love this look as much as I do. I know I say that a lot, but if I didn’t like a look, I wouldn’t blog it. Blogging it’s self is starting to become a challenge with any money coming in. In order for us to get paid, we rely on how long ads are displayed and clicks. Now I’m not asking for you to click on ads, but know if you do, they are not spam. I only use reputable ad agencies.